Due to our years of expertise in this realm, we are presenting an exceptional quality variety of Electrical Rock Concrete Cutting Machine. 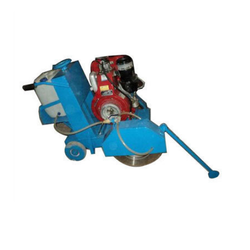 In order to keep pace with never ending demands of clients, our company offers Concrete Groove Cutting Machine. Our Cut-off Saw or Concrete Cutter is high performance, long service life, long maintenance intervals and - if the worst should ever come to the worst - short repair times: these are the characteristic features required of a modern construction machine. STIHL cut-off machines and drills outstandingly meet these requirements. Cut-off machines from STIHL are the most frequently sold in the world. Enriched by our vast industrial experience in this business, we are involved in offering an enormous quality range of Concrete Groove Cutting Machine.